Are there viable alternatives to the car, which has for so long been a symbol of freedom, style and even well-being? Over time, have cars started to poison our cities? In order to restore the quality of our public spaces do we need to ban them? Alternative solutions are on hand. Most people believe that there is no real alternative to the cars in the city and particularly in peri-urban areas. However, solutions do exist. On this subject, France is a little behind compared to its neighbours. Is it a cultural question? Unexpectedly, the country of Fiat, Alfa and Ferrari, has been taking measures to reduce the place of cars in cities for many years. Italy is one of the countries that has the most ZLT (Traffic Limited Zones). In Florence, for example, cars are banned in the city centre and only residents have access. The system doesn’t work perfectly, (expensive) relief car parks were only built long after the creation of the ZLT. The public transport network is being improved, but this obviously involves a lot of time and investment. Yet, the desire to develop transport methods and improve public spaces is alive and kicking! Even if this has created some inconvenience, inhabitants have adapted to the changes. We must ask whether the individual car is really a symbol of freedom? Not really if we consider that it creates huge constraints including the time wasted in traffic jams, tiredness from driving and high running costs. Fighting against the prevalent idea that cars represent freedom means improving public transport. This quality is firstly related to the frequency and speed of the transport by offering enough routes to satisfy users. It is also linked to the question of comfort, by making journey enjoyable and even offering additional services without this added quality costing users more. Basically, making sure that using public transport is not an experience that is endured but rather chosen. Conserving the quality of city spaces involves reducing the amount of traffic. Furthermore, using cars isolates drivers from the society in which they live. The question is therefore whether cars make us very civilised people? Can a country or city’s degree of civilization be measured by its public transport? So, what are the solutions? Walk, cycle, use public transport, car-share or take a shared taxi. And, if we really can’t do without a car, buying an electric one. 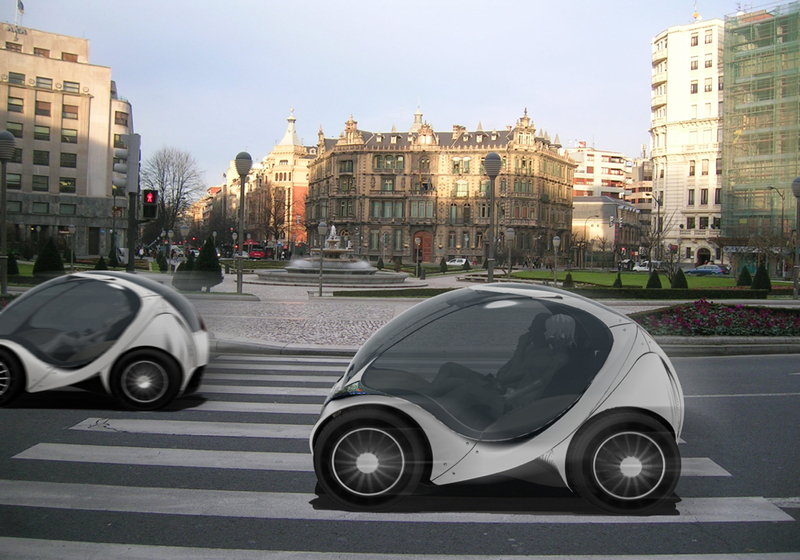 Appealing designs have been developed such as the Bolloré Bluecar, which recharges using an electric socket. 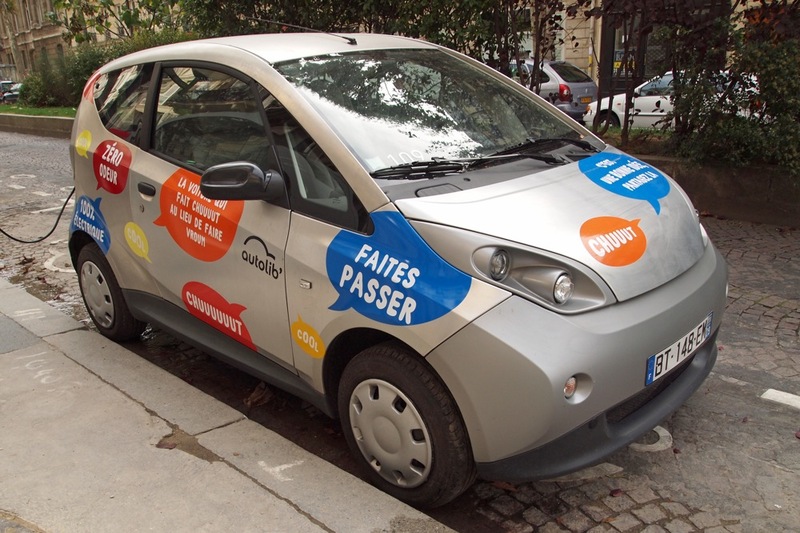 The electric self-service Autolib car in Paris has been a huge success since 2011. The French cities of Lyon (Bluely) and Bordeaux (Bluecub) have also introduced self-service car schemes. As for personal electric cars, recharging systems have yet to be optimised. There are few recharging stations and the time to recharge is too long. Although well-known manufacturers such as Renault have developed designs, such as the Zoé, they don’t seem to have taken on yet. In cities, values are changing. The car is expensive and users are starting to share costs with systems such as Auto’lib or Autopartage. Although a little reticent to change, taxis are also getting in on the game. 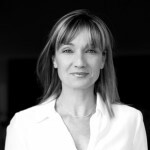 For example, Taxiloc has been developed with JC Decaux. Vélib bike stations are meeting places for users wishing to share a taxi to the same destination. The code for the destination is visible on the terminal. Capri is an interesting example of transport sharing in a tourist city. Convertible taxis drive around offering from 6 to 8 seats. 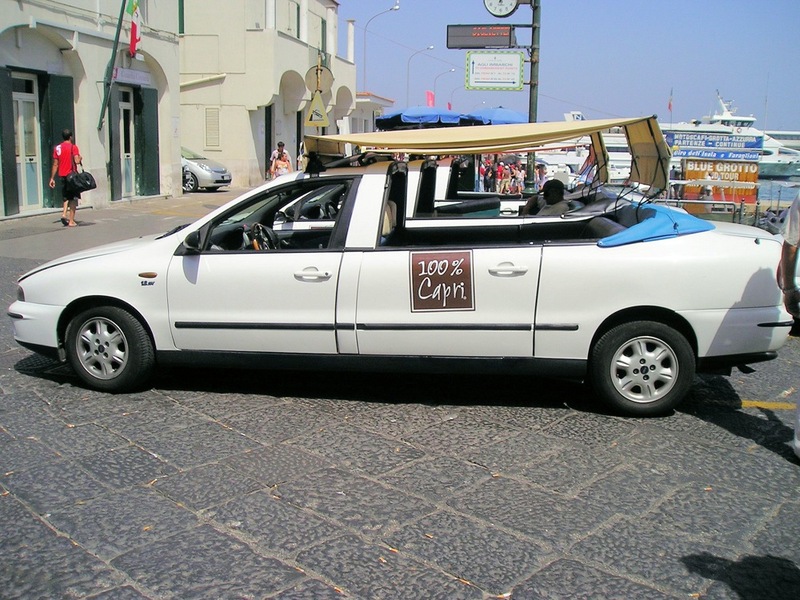 By choosing attractive vehicles, the city of Capri has made this form of transport appealing. Tourists aren’t made to feel ridiculous, unlike in many cities, and local inhabitants also use them. It is possible to make public transport pleasant. Alternative solutions have already been put into place. Car users need to be made more aware with support from local government projects. 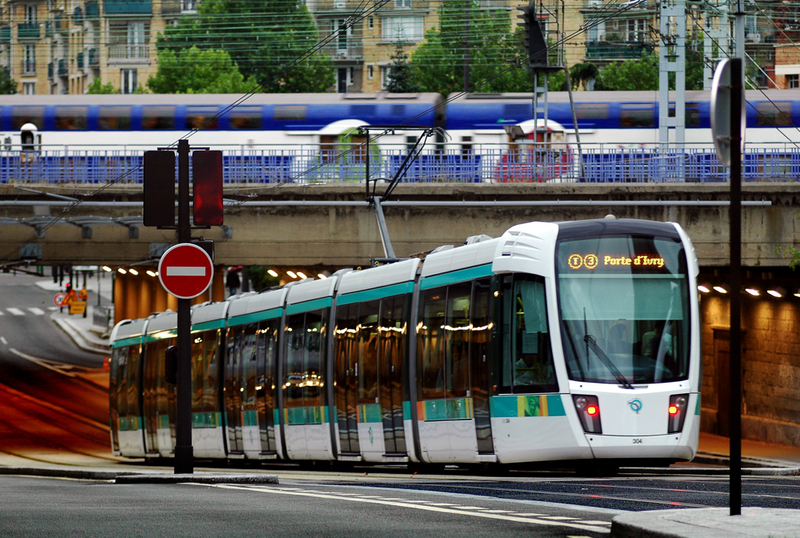 Things are also changing in France and there have been numerous public transport trade shows (November in Bordeaux and June 2014 in Paris). Bicycle sales now surpass car sales in France, Germany, Italy, Spain and the UK. Only Belgium and Luxembourg seem to buck the trend. This figures are encouraging for many European cities that have taken measures to favour bike use, encourage workers to commute by bike or make it easier for people to use two wheels to move around the city. Why have bicycle sales exploded whilst car sales struggle? For many in the media, this is a consequence of the economic crisis, but for others it demonstrates the efficiently of the measures implemented by local authorities to encourage bike use.